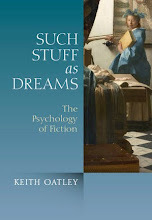 There has been a surprising number of books that are either directly on the subject of the psychology of fiction, or that contribute to it. We have made a list of 61 of them, starting with Aristotle's Poetics, which explicitly explores both the literary qualities and the psychology of what Aristotle called poetry, which we might call fiction. Poetry and fiction are derived, respectively, from Greek and Latin words for something made. Most of the examples with which Poetics is illustrated are not from lyric poetry, but from Homer's epics and from plays by Sophocles, Euripides, and others. Our list is mainly of books by one or two authors. With the reference to each one, we include a micro-review of 50 to 100 words or so. After these books, we also list edited collections of articles or chapters, but because contributions in edited books tend to be various in quality and content, we do not review these collections. Our list is far from complete, so please make suggestions in the form of comments to this post. Nominations and micro-reviews that fit the subject of the psychology of fiction will be added to the list, with an acknowledgment to you. You can access our list by clicking here. It's an interesting list, but I think it's a bit misleading to say that Stockwell's 2002 book is the "founding book" of cognitive poetics. Reuven Tsur published the first edition of his Toward a Cognitive Poetics in 1992 and Jerry Hobbs published Literature and Cognition in 1990. Margaret Freeman was publishing on cognitive poetics in the 1990s. I published a variety of essays on the subject over the past three decades starting with my 1976 "Cognitive Networks and Literary Semantics" in the centennial issue of MLN, which contains material I elaborated in my (alas, unpublished) 1978 dissertation on Cognitive Science and Literary Theory. Dear Bill, I am glad you find the list interesting. I apologize for the mistake you point out. I know about the work of Reuven Tsur and Margaret Freeman, but not—I am sorry to say—about your work or that of Jerry Hobbs. I will look these up. I thought that cognitive poetics got under way as a movement with Peter Stockwell, but perhaps it would be more correct to call his book a textbook. Would that be about right? I'll make the correction. Ah, the starting of the movement, Keith, that's tricky. I should say first that, as much as I'd like to claim some credit on the score, I can't. My early work was too early to have any influence and, for better or worse, too technically demanding. Various people published various things here and there throughout the 80s and 90s. I'd be inclined to date the "movement" phase to a 1994 issue of the Stanford Humanities Review that featured some 30+ responses to an article by the late Herb Simon, "Literary Criticism: A Cognitive Approach." Few of the responses were cognitivist, many were quite skeptical. But the issue put literary cognitivism on the map with a wide variety of scholars. Given your interest in emotion and simulation, you might want to take a look at my recent article on Coleridge's "This Lime-Tree Bower My Prison," where I use an incident from Tom Sawyer to set up the notion of literature as affective technology. An even more recent essay outlines a fairly comprehensive program, "Literary Morphology: Nine Propositions in a Naturalist Theory of Form." Finally, you might want to take a look at this Valve post where I set out parallel chronologies of for literary theory and cognitive science. Thanks very much indeed, Bill, for this very informative second comment of 22 May. 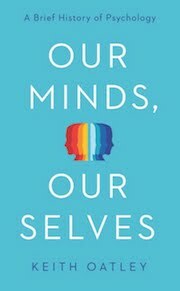 I will amend my micro-review of Peter Stockwell's book in our Books on the Psychology of Literature. And thank you, too, for the links to your articles. I have already looked up the one on the Coleridge poem, "This lime-tree bower my prison." I have just now read the poem, which I did not know, and I'll read your article. But I noticed your references to Winnicott. I agree that his space-in-between is completely relevant to a cognitive understanding of how literature moves us: perhaps particularly literature of the Romantic era—in which we still live—with its emphases on heart and style. Keith, are you familiar with Scott McCloud's Understanding Comics (1993)? In some odd, but wonderful, ways it may be the best single introduction to the cognitive study of literature. It's not an academic book or textbook; there's no scholarly apparatus. But it yields a superb sense of what it is like to think about story-telling from a cognitive point of view. As the title indicates, it's about comics. It also takes the form of a comic book, words and images in panels cover every page - McCloud is a cartoonist. The pictorial form is what makes it so effective. So, McCloud has the reader thinking about visual objects and how they're constructed and how those constructions are organized into stories. It conveys a sense of design, engineering, and construction which is very important and which is missing in much of the current literary cognition literature. 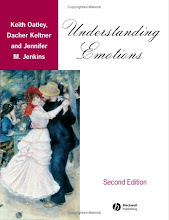 It gives the reader a whiff of mechanism without the pain involved in understanding the computational models of the cognitive sciences. Thanks very much, Bill, for this suggestion. Perhaps because I'm an immigrant, it would not have occurred to me to think of a comic book in this context ... but it sounds good. I'll put it on the list. Well, it's not really recognized within cognitive literary studies. I know about it because I'm interested in manga (Japanese comics). I would suggest Elaine Scarry's Dreaming By the Book (1999), both because it fits the parameters of your list and because the book is absolutely wonderful. In it, Scarry explores the nature of the imagination and of mental imagery in general. For Scarry, literary art (and especially fiction) emerges as a series of "instructions" and techniques for creating and manipulating mental compositions. Scarry moves through a series of increasingly focused close readings, but always founds those readings upon scientific and intuitive explorations of the human cognitive apparatus, its imaginative faculties, and its visual limitations. She takes basic mental images -- of light, shadow, color, faces, flowers, daydreams -- and proceeds to demonstrate how great writers use their art both to summon such quasi-perceptual content and to increase the potency, complexity, and vivacity of that content within the reader's imagination. 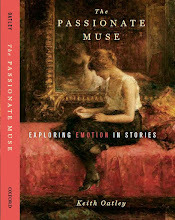 It is the best book, in my opinion, on the nature of literary image-making. Thank you, Peter, for this suggestion. I am sorry for the delay; I am travelling right now. I have read an article by Elaine Scarry on vividness, and much appreciated it, but I did not know about this book, which sounds very interesting. I shall put it on our list, with your review.